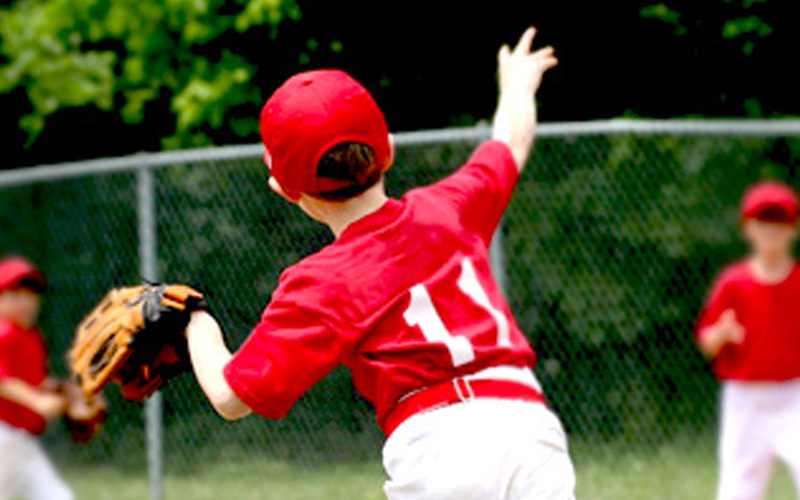 Little League Elbow and Shoulder are overuse injuries usually caused by too much throwing using improper mechanics. Physical therapy is an important component in all stages of recovery. Because throwing and reaching activities are total body activities, weakness or tightness in one area will increase the stress through the other areas of the body. For this reason, your physical therapist will perform a comprehensive evaluation not only of the shoulder and elbow but also of the trunk and lower extremities. This will include a biomechanical analysis to help determine not only the faulty movement patterns, but also areas of weakness and/ or tightness contributing to dysfunction. Initially, the goal is decreased pain and inflammation to the affected joint. While resting the injured site, physical therapy will address the core, spine, and/or leg weakness or tightness. This will allow the athlete to maintain his or her strength and endurance in unaffected body areas and allow the physical therapist to correct the mechanical faults causing the stress to the shoulder or elbow. The second phase of recovery emphasizes strengthening of the muscles in the shoulder, elbow, shoulder blades, and upper back. These muscle groups provide the stability needed to keep the shoulder and elbow in place during the deceleration (slowing down) phase of throwing and absorb the stress created from the legs, spine, and core muscles during the first three phases of throwing (acceleration phase). Once the athlete is cleared by their doctor to return to throwing, the physical therapist will begin the third phase of recovery: the return-to-sport phase.